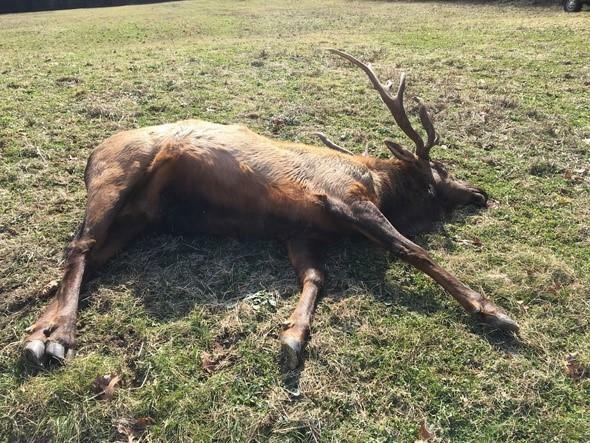 MDC’s Protection Division Chief Randy Doman said this is the fifth known elk poaching incident since the elk population was restored in 2011. According to Doman, the poaching of elk is unethical and hurts the state’s economy. MDC has determined that elk brought nearly $1.3 million in increased economic activity to the region in 2016. The department announced last year that a limited elk hunting season may be allowed soon. But officials say poaching cases may impact both elk tourism and the timing of an elk hunting season. Anyone with information about the latest poaching case is asked to call the Operation Game Thief hotline at 1-800-392-1111. Callers may remain anonymous, and rewards are available. Those with information can also call (573) 226-3616, ext. 226 and leave a detailed message with their contact information.